- No more crappy 3-yr old eBooks to bore your list to sleep. - Save the time of having to make and edit the product yourself. - Revitalize your list with fresh quality content. - Sell (or give away!) with a MUCH HIGHER perceived value than the every day stuff you always see! - You can sell it on Auction sites, such as eBay. 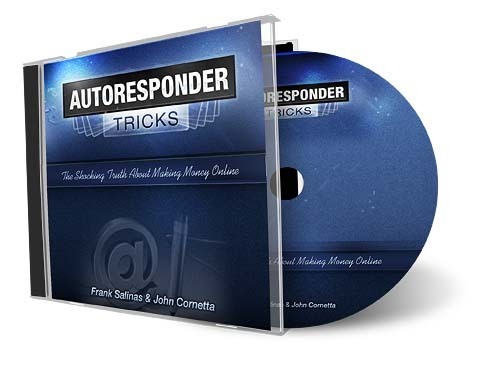 You'll be able to rebrand the transcript of Autoresponder Tricks! The transcript PDF contains links to Hot Clickbank products. Once you rebrand the PDF, it will then contain your Clickbank ID in all the links so you make sales! Nothing to install or download, simple fill out a form and click submit and out pops your branded PDF! You Get 10 Hot OTO Templates that come with the squeeze Page, download Page and Master Resell Rights! Setup the reseller site that comes with it and sell the OTO Templates on the backend to people that opt-in to your list or just use the templates for your own OTO's to increase conversions! You also receive your very own copy of this same One Time Offer sales page to sell the whole package to people who sign up to your list! That's right! We're giving you the rights to this OTO sales page! It's converting like crazy and makes it brain-dead simple to make money as soon as people sign up to your list. Squeeze Your Way To Wealth - Plr!